Has the resins market showed any signs of recovery from the economic downturn? 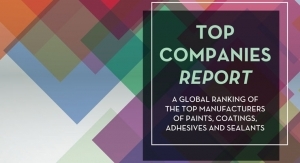 • Phil McDivitt, general manager, Celanese Emulsion Polymers: According to our customers in North America, the architectural coatings industry is up approximately two percent. Recovery remains slow due to the lack of growth in the new construction market. In Europe, particularly in Germany, the recession wasn’t quite as deep and recovery for end-use domestic goods has been strong. In China, paints and coatings has rebounded well based on domestic demand while other end-uses such as adhesives, which are driven partially by exports, has not recovered as well. The growth rates in China and India are going to outpace the more mature markets in Europe and North America. To meet this growing demand, Celanese is expanding its capacity at our Nanjing, China facility. This investment will double our vinyl acetate/ethylene capacity and is due to come online in the middle of this year. However, we are not overlooking the mature European or North American markets as they are growing in the low emission paint end use. • Leigh Ann Gibbons, market specialist, Reichhold, Inc.: 2010 was a difficult year for all members of the coatings industry, but the trials of 2010 were not without a glimmer of hope for economic recovery. 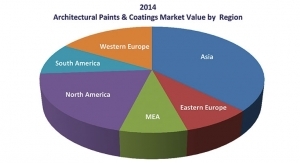 As most conventional coatings markets become more difficult to be competitive in, more and more customers are looking to differentiate themselves with new products, some even outside their current market offering. At Reichhold, we have seen an increase in the number of new research and development projects, especially those featuring novel technologies such as our Beckosol AQ alkyd latexes. As we end the first quarter of 2011, the months to follow will no doubt be trying as raw material prices continue to escalate. We must stay the course and focus on working smarter and more efficiently to provide value added products and services. • Steve Reiser, vice president, sales and marketing, Specialty Polymers, Inc.: Specialty Polymers reported that volumes were up in 2010 and demand has been strong the first part of 2011. Our resins serve a wide range of markets, and definitely some markets have recovered at a much stronger pace than others. • Yasmin Sayed-Sweet, vice president, sales and marketing, Alberdingk Boley, Inc.: There has been some recovery in the resins market. However, it is very much market related. Also, with the escalating raw material costs and shortages on monomers, this has dampened the slow growth trend. • Ray Gonzales, global business manger, epoxy resins, Dow Chemical: Demand for epoxy resins used in coatings applications has improved since the economic downturn. The recovery has been uneven across end applications and regions, but on the whole 2010 was a year of demand recovery. The outlook for 2011 remains uncertain thanks to energy and political stability concerns. What is clear is that concerns around supply and prices of raw materials will continue to plague the industry. • Sandeep Goel, global business manager paints, coatings and adhesives, Lubrizol Advanced Materials: Yes. The demand for resins and additives has increased, which is a positive sign that aligns with the recovery for the resins market. As demand continues to come back at a high rate, material manufacturers must work hard to keep up with that demand. What are some of the demands paint formulators are making on their resins suppliers? • McDivitt, Celanese: Our coatings customers are making a variety of requests. In North America, they are asking for alternatives to their current resin technologies with a high interest to shift to vinyl-based technologies. With VAE emulsions such as our EcoVAE line, they are able to keep the performance their customers’ demand, while opening up possibilities for formulating low odor and low VOC interior paints. In Eastern Europe, customers are seeing the cost advantages of waterborne technologies versus solvent-based paints. 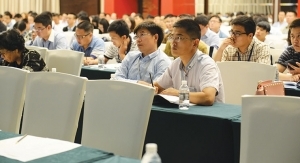 In China and India, our customers are aiming for the high-quality interior markets which are preferred by consumers. • Gibbons, Reichhold: Customers are always looking for new ways to improve the state of their business either through lower costs or superior performance. At Reichhold, we try and stay ahead of the curve by keeping up to date on new regulations, government programs and consumer activity as these drivers directly affect the supply chain and influence our research and development of new products. By streamlining our business strategy and only focusing on those product areas that play to our strengths, we are able to deliver quality products at a competitive price to meet the necessary needs of our customers. • Robert E. Ball, director, technical sales and services, protein polymer group, American Casein Company: Technical service is essential in keeping customers satisfied regardless of rising costs. Maintaining product quality assurance and availability for technical issues allows for the companies to be more comfortable in the relationship during difficult times. 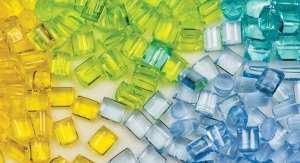 • Reiser, Specialty Polymers: Customers are expressing a strong desire for customized solutions, and a supplier that will respond quickly to their needs. Price and performance have always been important, and continue to be important. But it takes more; customers are looking for close working relationships with their suppliers, and someone they can partner with to develop new products. • Jim Horgan, vice president, technology, Sartomer: Customers expect their suppliers to innovate and provide resins for current and evolving technologies. In addition to improving conventional coating properties, many customers are asking for resins to provide advanced performance in terms of electrical, barrier, weathering, printing and formability. • Gonzales, Dow: These days, customers are focused on security of supply and cost stability. Customers seem to be looking for the right balance of cost control and price management to ensure they stay profitable while also meeting their growth objectives. This is a difficult challenge in a world where raw material price volatility is the new norm. • Goel, Lubrizol: Regardless of region, coatings customers continue to insist on high-performance products that provide both durability and good aesthetics. In addition, green trends are still prevalent, with customers seeking products that can be used to produce low VOC, formaldehyde-free, NMP-free and APEO-free formulations. There is a prevailing need to meet the growing number of regional environmental certifications like Green Guard in the U.S. or Ecolabel in Europe. There is a growing focus by all manufactuers to improve product life cycle costs. Safety and simplicity to application is a need for customers. How do you balance customer demands with the rising costs associated with manufacturing resins? • McDivitt, Celanese: No one is immune to rising costs associated with higher feedstocks. Celanese prides itself on keeping our internal costs low through optimized manufacturing processes and lean business practices. Even with these internal controls, we have had to manage rising raw material costs, just like our customers. Coatings manufacturers have become much savvier in understanding how the prices of oil and gas affect the downstream prices of acrylic and vinyl resins respectively. More and more, they are looking at the more economical natural gas chain and the vinyl resins it produces to help them meet their financial goals. • Gibbons, Reichhold: As the cost of manufacturing increases, our operations team here takes a serious look at the way we manufacture and schedule product batches to ensure we are working as safe and efficient as possible. Our plants aim to make our coatings products right, the first time every time to reduce the cost to our customers. • Reiser, Specialty Polymers: There is no doubt rising raw material prices have been tough for us and our customers. Personal communication with our customers is a key part of Specialty Polymers’ strategy. No one likes surprises. You have to communicate with your customers, and you have to understand their specific needs. We know our customers are faced with increasing demands from their customers. As a supplier, it is our responsibility to come up with innovative ways to meet our customers changing needs. • Mike Manegold, new business development manager, Royal Adhesives & Sealants, LLC: With the increases in coating raw materials, customers are more willing to look at formulation modifications that can result in a lower overall cost to their operations. This requires a close partnership and working arrangement with our strategic customers. Our development group is actively involved with formulation modifications that can result in a lower overall cost to customer operations. This requires a combination of formulation expertise and in-depth knowledge of the customers manufacturing process. Royal has recently introduced new APEO-free thickeners and halogen-free flame retardant dispersions. • Goel, Lubrizol: Our goal to balance customer demand is to continue providing quality service levels. These segments continue to experience raw material price increases simply based on the laws of supply and demand. We strive to bring better value to customers by providing unique product solutions and technical support. Lubrizol offers a broad product portfolio that meets most any coatings application need, particularly in the areas of construction, OEM metal, wood and automotive. Our goal is to make customers successful by providing the technologies needed to compete in today’s demanding global markets. Stricter environmental regulations have led to the need for increasingly lower VOCs. What are some of the latest “green” technologies your company has launched? • McDivitt, Celanese: Our customers look to us for help in meeting their goals in this area and many of our R&D projects center on this topic. In the past year, we have introduced products in all three regions of the world to meet these goals. We also understand that a “green” paint will only sell if it meets the performance expected of the end-user, either a professional painter or a DIYer. Therefore, we have worked with Master Painter’s Institute (MPI) to approve a number of our formulas for low VOC interior paints utilizing EcoVAE resins. • Steve Wilson, marketing manger, coating resins, Omnova Solutions: With the continuing VOC legislation changes it proposes both a threat and an opportunity in the North American markets. Resin companies that have the technologies to meet the performance VOC requirements will have opportunities for growth. • Gonzales, Dow: The definition of “green” can be very different depending on whom you ask. The lack of clarity makes it challenging for producers and suppliers to focus on a uniform solution. Right now, efforts to produce more sustainable, green products in the industrial markets are directed at the development of waterborne solutions and the removal of solvents and other undesirable components from formulations. Dow is actively working with our customers to understand their efforts around green technologies. We feel that there is still plenty of room to innovate in this market as the current solutions are not fully meeting the needs of the industry. • Gibbons: Reichhold: Environmental stewardship is becoming part of almost every company’s business plan. Whether it is eliminating wasteful purchasing, more efficient manufacturing, adding alternative energy to run plants or launching renewable resource based products, the green movement is in full force throughout the market place. 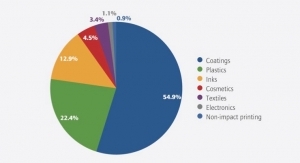 • Reiser, Specialty Polymers: Customers have come to us, requesting polymers to help them achieve their goals for increasing the number of environmentally friendly product offerings. In response we have incorporated APEO-free surfactants, eliminated formaldehyde and developed emulsions that reduce VOCs in formulated coatings. Working directly with a number of our customers, we have developed emulsions allowing them to replace a traditional coating, with a more environmentally friendly version. • Horgan, Sartomer: Sartomer’s products are used in variety of environmentally friendly areas. Our acrylate monomer and oligomer products are widely used in UV/EB cure formulations, which are fully reactive, 100 percent solids systems and generate no VOCs during use. The UV/EB technology is a green technology since it does not emit VOCs but also because it is energy efficient and eliminates green house gases which are generated by heated drying ovens required by solvent- or water-based coatings. • Deborah Galloway, marketing communications manager, Georgia-Pacific Chemicals: To meet the needs of environmental regulations Georgia-Pacific Chemicals recently launched a new line of low-emission products called LEAF resins for adhesives and binders. Our researchers are actively evaluating new technology platforms for applications in many industries including coatings. In addition, Georgia-Pacific Chemicals has recently developed two new proprietary coatings resins. Much of our new product development is custom work, directed at addressing individual customer needs and meeting their specific requirements. • Goel, Lubrizol: Lubrizol has launched a wide range of water-based products in its Carboset, Permax, Lanco and Solsperse product lines. Many of these products are formaldehyde-free, NMP-free, APEO-free and are able to be formulated to low VOC solutions. Lubrizol recently launched Carboset AE960 a high solid, water-based 100 percent acrylic emulsion was specifically developed for semi-elastomeric vertical masonry coatings. High performance coatings can be formulated using AE960 for a variety of construction materials including concrete block, brick, stucco and EIFS and fiber-cement surfaces. AE960-based coatings have good adhesion to masonry, wood and metal substrates and provide a consistent coating color and appearance. In North America in late 2010, Celanese introduced a pair of resins: EcoVAE 501, a VAE emulsion, and Avicor 601, an acrylic emulsion. EcoVAE 501 is designed to meet low VOC regulations across the spectrum of gloss levels. Avicor 601 offers very good adhesion and block resistance in flat through semi-gloss paints and was developed to be used with vinyl-based resins. 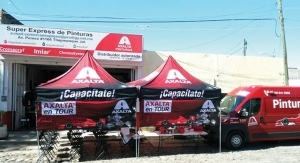 These products can be used separately or together as a package to help the paint formulator meet their performance, marketing and economic goals. In Europe, Celanese has introduced Mowilith LDM 1865, a VAE emulsion. In exterior façade paints, it shows good color retention, low dirt pick-up and good flame retardancy for use in EIFs. Alberdingk Boley offers AC 2403, a self-crosslinking acrylate dispersion for direct-to-metal for industrial coatings with excellent corrosion protection and UV resistance. It has exceptional adhesion to metal including galvanized substrates. Corrosion in coatings is greatly reduced due to low vapor absorption and high condensation resistance. Alberdingk Boley also offers Lignocure 2010. This is a water-base polymer with Lignin reactive groups to help protect wood substrate. This polymer can be used as primer/sealer to react with the lignin of the wood in order to retard the degradation in the wood, which helps to preserve the wood. 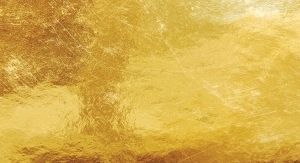 American Casein Company offers Casein BL-330 LV, a specific protein polymer developed to allow for high solids emulsions at reduced viscosities in coatings and adhesives. The company also offers Casecrete SL, which was a specially developed protein polymer for use in cementitious applications. It was purposefully modified to offer water reduction or plasticization of cement or lime slurries. Dow recently launched D.E.R. 6510 HT Solid Epoxy Resin for fusion bonded epoxy applications. 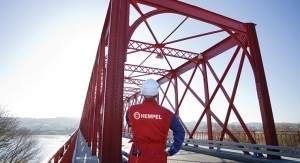 The product enables the formulation of FBE coatings that are capable of withstanding the corrosion and temperatures associated with tapping and transporting oil and gas resources in the world’s harshest environments. Formulations with the new product can enable pipeline coatings with glass transition (Tg) temperatures exceeding 160 degrees Celsius and are compatible with a range of new curing agents that can further enhance long-term durability of the finished coating, according to the company. Dow also recently launched D.E.R. 3680-X90 Epoxy Resin Solution, a new low-molecular-weight resin suspended in a xylene solution developed for use with polyamine and polyamide hardeners. This resin can be used to formulate highly flexible epoxy-based coatings for steel and concrete applications. Formulators can use this product to develop coatings with excellent corrosion resistance, mechanical properties, such as durability, adhesion, water resistance and chemical resistance for industrial protective coatings. Omnova has developed a proprietary Hydro Pliolite resin system that when formulated in a water-based primer will block water-soluble stains. This resin also permits formulation of coatings that have outstanding adhesion, forms a film under difficult conditions and has excellent water resistance. This resin system can be formulated in very low VOC formulations because when using this resin, there is no need for coalescents, plasticizers or coalescent aids. chemical resistance, good adhesion and good abrasion resistance. Royal Adhesives and Sealants launched Paranol FRD-055, an aqueous dispersion of non-halogen flame retardant materials. The dispersion contains no halogens or heavy metals and is considered to be environmentally friendly. 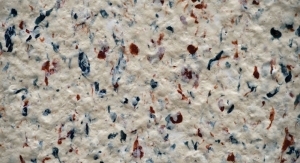 It can be used with a variety of lattices, including EVA, acrylic, SBR, vinyl acetate, polyurethane and blends of each. Paragum 600 is a water-thin, alkali-swellable cross-linked copolymer dispersion from which high efficiency thickeners can be readily prepared. It performs effectively in a broad range of lattices, coatings, adhesives, dispersions and solutions. It provides a unique, short “buttery” flow characteristic to give the formulator broad latitude and flexibility in product design. Reichhold has launched two products. Beckosol AQ 206 is a medium oil alkyd latex resins that provides superior gloss and excellent color retention for architectural applications. Beckosol AQ 210 is a chain-stopped medium oil alkyd latex resin that offers good corrosion resistance and adhesion designed for metal primer applications. Royce International offers RoyOxy RAC-3387, a solvent-less, low viscosity cycloaliphatic amine hardener with very good UV yellowing resistance. It can be used for industrial flooring applications. RoyOxy RA-951LV is a solvent-less, medium viscosity phenalkamine featuring fast curing at low temperature and very low blushing. It can be used in industrial flooring and marine and maintenance (ship and bridge) coatings applications. Sartomer has launched CN9030, a urethane acrylate oligomer for UV/EB coatings and inks that offers adhesion to a wide variety of substrates and exhibits an exceptional balance of hardness and toughness with excellent weathering resistance. The company also offers CN9026, a high functionality urethane acrylate for hard coatings on glass, metal and plastic that exhibit offer scratch resistance and retain gloss very well even in exposure to exterior weathering. Specialty Polymers’ RayCryl 2010 is a styrene acrylic emulsion specifically designed for high performance, low VOC maintenance coatings. It has outstanding corrosion resistance, and can be formulated into corrosion resistant primers, highly durable topcoats and high gloss direct-to-metal finishes. Due to its low coalescent demand, coatings formulated with RayCryl 2010 can meet current stringent VOC regulations. RayKote 4108 is a self-crosslinking acrylic emulsion, designed for industrial wood applications. Coatings formulated with RayCryl 4108 will provide excellent clarity, superior mar and scratch resistance, and minimal grain raise. This emulsion is compatible with polyurethane dispersions, and is ideal for high performance wood coatings. Two Lubrizol polymers designed to help formulate high-performance coatings in the OEM metal market are Carboset CR-795 Acrylic Emulsion for direct-to-metal (DTM), topcoat or primer applications and Permax 805 Polyvinylidene Chloride Emulsion for primer applications. Carboset CR-795 is a thermoplastic acrylic emulsion that provides a balance of gloss and adhesion to various metal substrates, as well as corrosion protection. This polymer can be formulated for good flow and leveling, which provide easy application in both brushability and spray. Finished paints made with Carboset CR-795 emulsion demonstrate good overall properties, including gloss, color retention and general chemical and stain resistance. It can be combined with traditionally used glycol ethers and can be used in low VOC formulating. It is ideal for use in both topcoat DTM and primer applications. Permax 805 emulsion has a low VOC capability of less than 50 grams per liter. When combined with its APEO-free properties, it is a solid choice for helping to meet today’s stringent environmental requirements. Ideal for use in a variety of OEM and industrial metal coatings, such as maintenance primers, underhood and underbody coatings, rust converting products and barrier coatings, Permax 805 emulsion displays low moisture vapor permeability and corrosion resistance. It has a shelf-life up to 12 months, which is typically longer than traditional polyvinylidene-containing polymers.